I’m a candle addict! I loveee candles and I love the glass jars that some of these candles come in. So overtime I’ve been using my candles down to the bitter end and I’ve been sitting them aside for a rainy day project. I finally marked something off my to-do list the other weekend and put them all together and did something with them! First I cleaned them in some very hot water, peeled stickers off and dried them as best as I could! 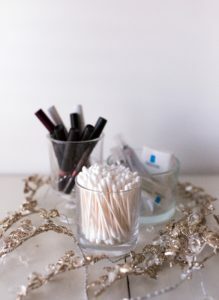 I then sat down and thought of some ways I could really use them and put purpose back into this beautiful glass jars without having to throw them away or recycle them. I always find such simple classic jars like this for sale in home decor stores and realized a lot of the time it’s just a pretty glass jar from a used candle! Below are three different things I did with my old candle jars! Hopefully you can think of some ways to give them new life & grab the kids maybe make some personal gifts for family?? 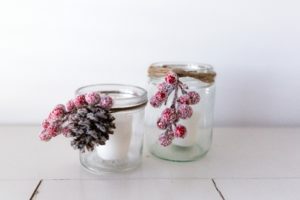 These little babies totally give me a rustic vibe and always in need of new Holiday Decorations! 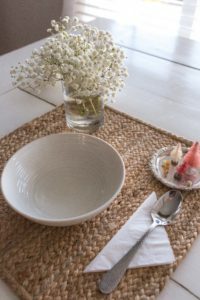 We always have little things in our home that needs storing. Some other really great ideas would be crayons, markers, chalk, little toys that get lost easily…etc. 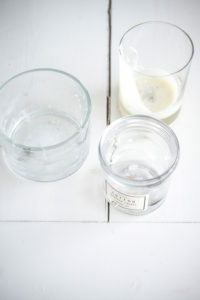 Show me below how you like to repurpose your old candles and give them new life!! !